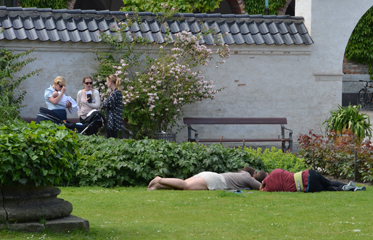 The Royal Library Garden is a small, somewhat hidden space in the central Copenhagen. 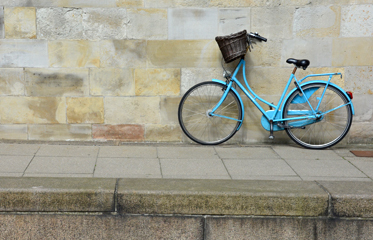 It has a reputation for being one of the most tranquil spots in the city centre. The garden was designed in 1920 by landscape gardener Jens Peder Andersen and Christiansborg's architect Thorvald Jørgensen. As a reminder of its maritime past when it was part of the old Naval Harbour, a small pond has been retained in the middle of the gardens. 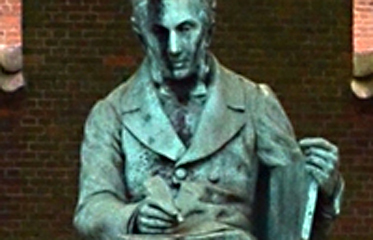 A 1918 bronze statue of Søren Kierkegaard by sculptor Louis Hasselriis is located in the middle of the gardens. Kierkegaard appears absorbed in his own thoughts, and maybe, inviting us to join him in contemplating the future. If you are curious there is one additional fact about Urbansquares travel and the space in Copenhagen called Amalienborg, marked in the top right corner on our map bellow. Interested?